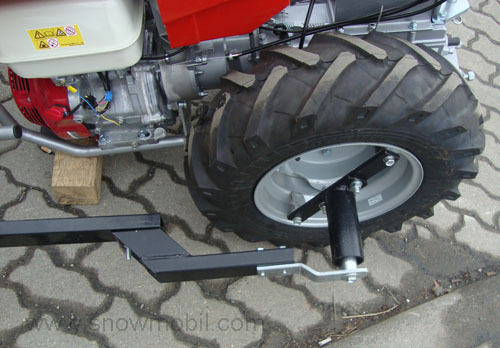 The braked towable seat for walk behind tractors can be mounted flexible to any two wheel tractor. 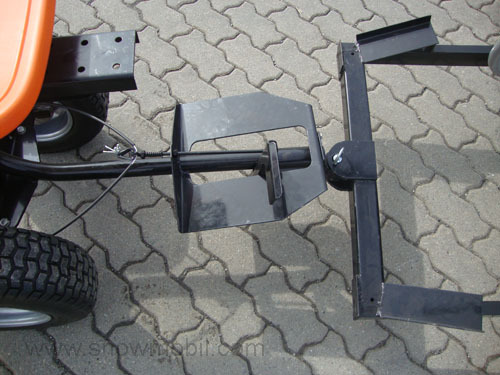 The Sulky is particularly suitable for the use on large areas, sidewalks, parking lots, etc.. 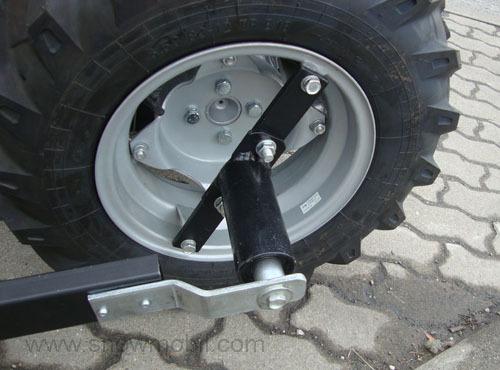 The fact that the device connection was made ​​to the axis, the two wheel tractor can be utilized with the sulky in any terrain. The sulky can be slowed by foot brake. 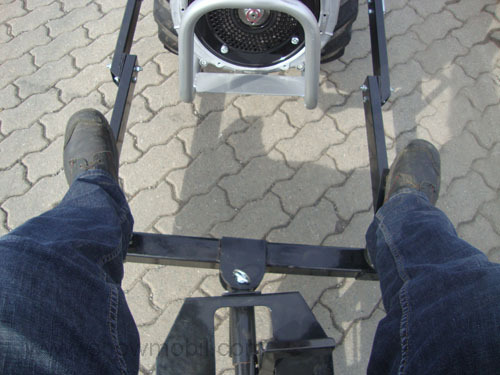 You can also support with your feet the steering.